An armistice is signed between France and Italy at Villa Indusa near Rome. China protests to France over closure of Indo-Chinese border; Japanese request closure of Burma Road controlled by Britain and used to supply Chinese forces. British government sends gold bullion and securities to Canada for safekeeping. House of Commons votes for £1,000 million war credit as war expenditure now exceeds £10,250,000 per day. Germans sweep west into Lithuania and White Russia, taking Vilna and Kaunas. Hungary breaks off diplomatic relations with the Soviet Union. President Franklin Roosevelt pledges all possible support to the Soviet Union. 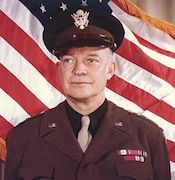 Major General Eisenhower arrives in Britain to assume command of US European Theater of Operations (ETOUSA), including North Africa. The German, Italian and Croatian forces in Yugoslavia, begin another offensive against Tito’s partisan army. The RAF launches its third 1,000 bomber raid, this time on Bremen. The Luftwaffe launches the first in a series of night raids against Birmingham. The Germans advance into Egypt as the British retreat continues. Sollum and Sidi Barrani are evacuated by the Eighth Army. Allied POWs begin work on 294-mile extension of Burma-Thailand Railway under brutal conditions. The RAF conducts a heavy raid on Elberfeld in the Ruhr. LTC WR Lovelace makes record parachute jump from 42,200 feet. From Japan, Subhas Chandra Bose, leader of Indian National Army, implores Indians to turn against British. The Russians report major advances against Army Group Centre. Hitler orders all but one of the five German divisions of the 53rd Corps that are encircled at Vitebsk to fight their way out. French Resistance blows up hydroelectric plant near Limoges. French forces begin to leave Italy to prepare for Operation Anvil, the invasion of Southern France. A Great Victory Parade in Moscow’s Red Square, sees Zhukov takes the salute in Stalin’s presence. In a bombing raid, British destroy the infamous bridge over the River Kwai in Thailand, built at great cost by slaves and prisoners of the Japanese.